Sometimes, I wonder if our vacations are actually a break at all. When we travel, it is almost like we do a marathon sightseeing mission where we don't even have time to rest. Hence, we need a vacation from our vacation when we get home. So after a long day of walking and walking some more at The Met (that place is huge! ), we were in no mood to travel far for food. 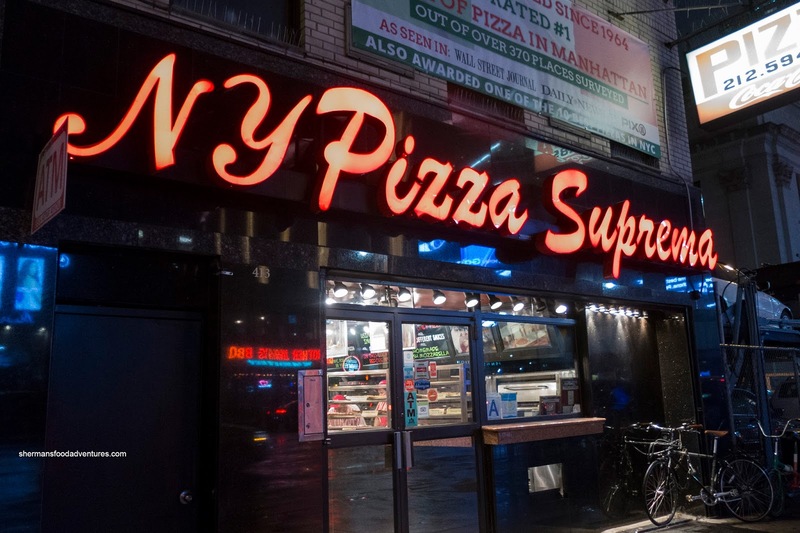 We kept it close with a visit to Pizza Suprema for some NYC pizza action. We got several slices to go including the Meatlovers and Suprema. 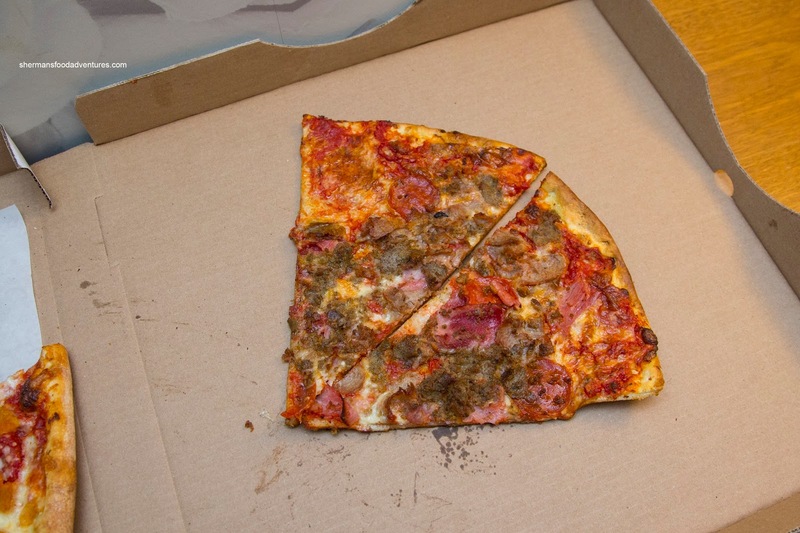 Predictably salty, due to the abundance of meatballs, sausage, pepperoni and ham, the pizza was loaded with flavour. I could've done with less salt, but it was expected. 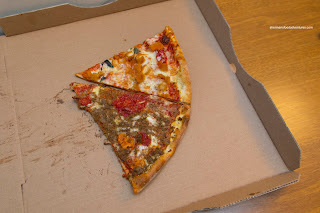 The tomato sauce was really good being tangy and nicely seasoned. 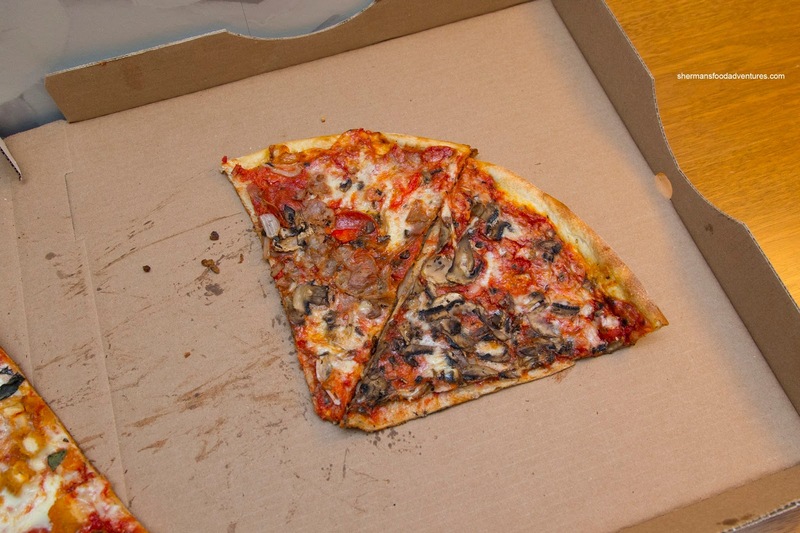 The best part was the crust as it was chewy and nicely crisped up. The Suprema (their signature pizza) was loaded with many toppings including sweet Italian sausage, pepperoni, sauteed onions, roasted red peppers and fresh mushrooms. This was a bit less salty than the meatlovers and replaced that with sweetness. 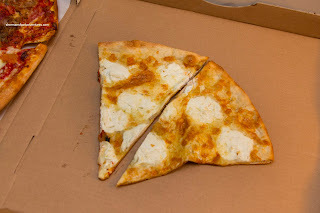 The kids loved the White Pizza that was essentially cheese bread with romano, ricotta and grande mozzarella and fresh garlic. This had no sauce which meant the crust was chewy and drier. This was appealingly garlicky. The best slice, in my opinion, was the Chicken Parmigiana since it was less salty and had plenty of cheese. Moreover, there were nuggets of crispy pieces of breaded chicken strewn on top. 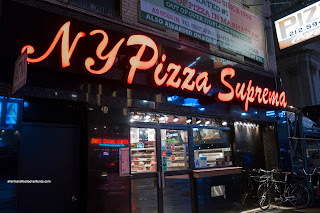 So with all of the choices for pizza in the city, we ended up at Pizza Suprema due to convenience. With that being said, it was still a great choice as it was good and didn't cost us a fortune.